Annual Bart & Nadia Sports Experience a Success! 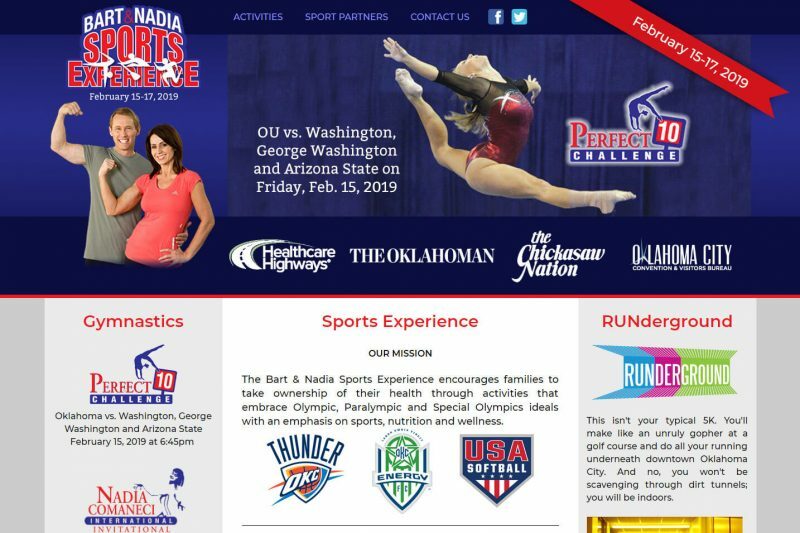 The Bart & Nadia Sports Experience, in association with The Oklahoman, encourages families to take ownership of their health through activities that embrace Olympic, Paralympic and Special Olympics ideals with an emphasis on sports, nutrition and wellness. Approximately 10,000 people attended the 2014 Experience weekend, and the event will continue to grow in the years to come. The event weekend consists of age-group gymnastics meets, an NCAA women’s collegiate gymnastics meet, an international elite gymnastics meet, a free field trip for “at risk” children in OKC public schools, and a free expo with health and fitness related booths, sports activities for kids, free health screenings and children’s immunizations, giveaways and more! For more information about the sports experience, please connect with us at www.bartandnadiasportsexperience.com, or on our social media platforms, Facebook and Twitter.